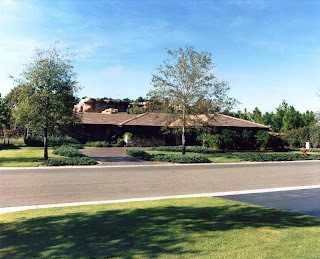 Today we’ll once again be turning back the Walt Disney World clock, this time to 1989. 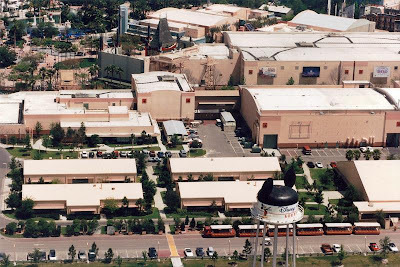 When Disney-MGM Studios was in its infancy the Backstage Studio Tour has a multitude of elements, many of which are no longer a part of the Backlot Tour. Along the tram portion of the tour, guests could see costuming, vehicle boneyards, special effects sets, and a host of various set facades. 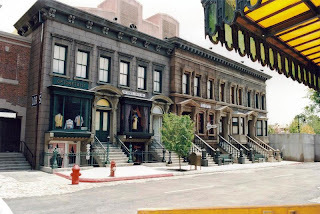 While the current incarnation of the Streets of America is impressive, the drive-by sets of both New York Street and Residential Street were so realistic, flowing from the various props, landscaping, and attention to detail, that it was slightly disconcerting to not see people wandering down the sidewalks and across the streets. 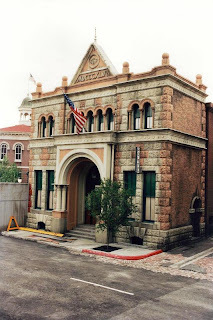 To gain an idea of what those early set pieces looked like, here are several publicity photographs Disney-MGM Studios released shortly after the park opened to the public. I miss this... I had really almost forgotten that this was here then. 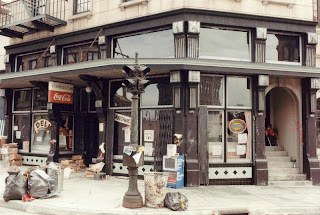 I was there the year MGM Studios opened, but then didn't return for a number of years afterward. So my memories of it are pretty vague. Thanks for the photos.